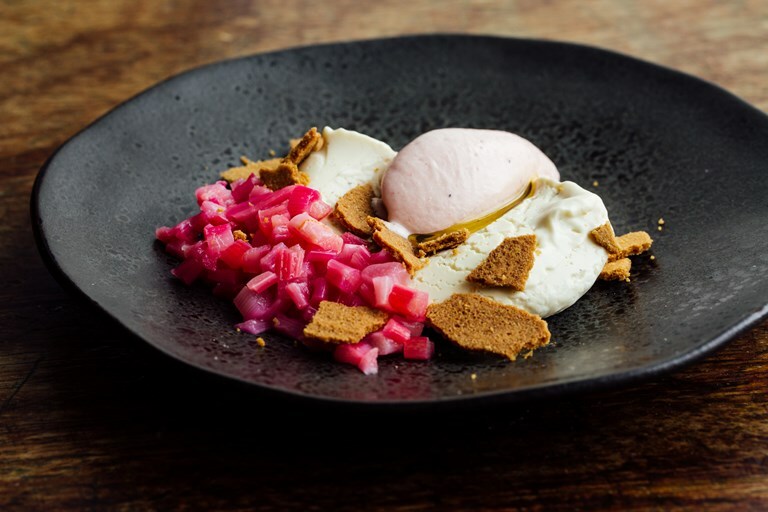 This pretty pastel pink bay panna cotta recipe, a springtime favourite at Sorella in Clapham, combines the flavours of burnt bay leaves, seasonal rhubarb and white chocolate to create a stunning dessert that’s well worth the time it takes to create it. Used forced rhubarb if it’s in season (around January and February) for the most striking, colourful results. 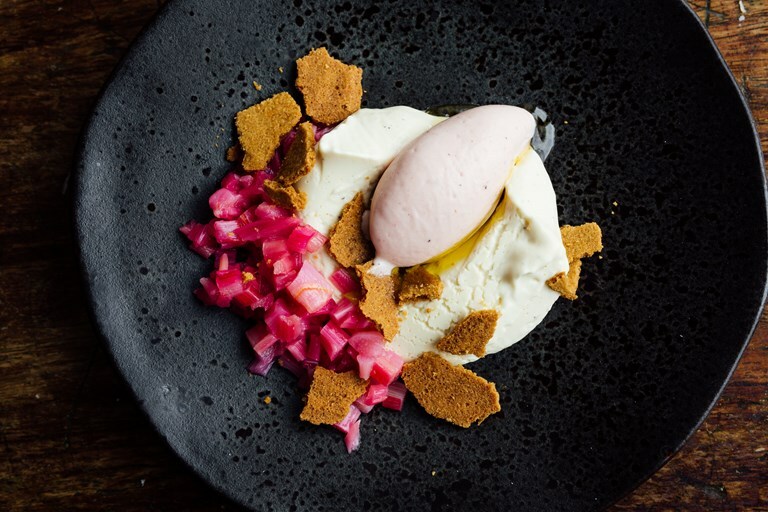 This dish is served at Robin Gill's restaurant Sorella, where Dean is head chef.